Online shopping is rage these days and everyone spends a lot more than in the storefronts. A wide assortment is available at the online stores all under one roof. For the shoppers, there are a lot of positive innovations and developments that have taken place abreast. It’s the online stores’ owners who have to take few crucial steps to contribute in the success of the business. 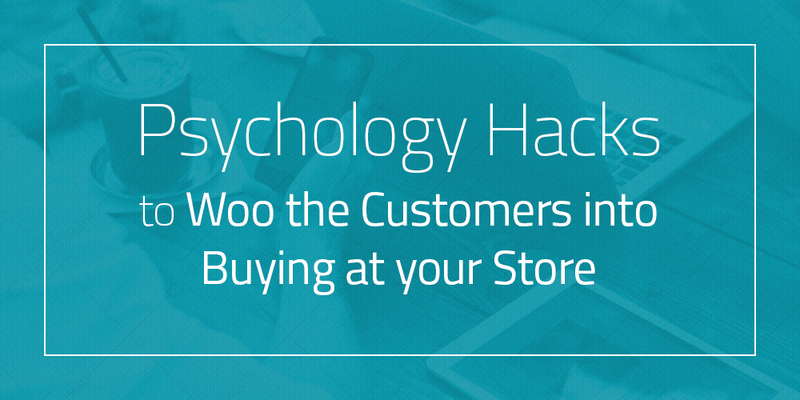 Convincing the clients to buy at your store is an amazing idea and you can do it through these psychology hacks. Marketing tactics can be applied if you have an intelligent mind because there is nothing wrong in making people believe in your values. Let us apply these tricks to persuade the customers to click on the BUY button. Displaying two products at different prices is a common strategy followed by the online stores to lure the customers. Ever seen two packages of the same cookies but with different quantities and different prices? Of course, you have seen. Usually, the expensive products offer more value like in case of the cookies, the one with the larger pack is expensive. After comparing, it is found that the large pack is more beneficial and a better deal. Now to make it more tempting, add a third package with a better offer. Suppose, you can add a small pack of cookies with the larger one for a bit more price than the second package. It will seem a super bargain to the customer and chances of sales will be much more than you expect. Motivate your potential customers by using the words like Gain more or Get more. If you will make them feel that they are spending less money for a valuable product, they will come frequently at your site to make the purchases. Help the customers focus more on the benefit of the product rather than its cost. As you know that content matters, you can show the best deal of the day in between the two products. To attract them, place a cheap item on the left and the expensive on the right and the one that you want to sell, keep that in the middle. Help them make a better decision towards a specific item and you can drive more sales through this strategy. Adding this caption on every product page boost the sales as the customer will have a fear of losing the item if not bought at that very instance. Booking a flight or a hotel or buying any clothing item with the caption “2 items or seats left” induces a sense of urgency in the mind of the customer and he acts immediately. It increases your sales because without this caption, the customer might skip buying the product. Missing a favourite product is not acceptable to the customers that is selling fast. Yet another strategy to lure the viewers is by showing the highest priced products first and then move on to the lower ones. When the viewer see the highest prices at first, their mind get prepared the way you want. Next moving on to the lower priced products make them take a fair decision of buying the mid ranged products. Isn’t it a bargaining condition for the viewers? A super important tip is to present the customers the deal what you have displayed. Never talk them into a false deal that you cannot provide. Have some respect for your customers and gain them forever. Implementing these psychology hacks into the ecommerce store work great if you really want to earn genuine customers.